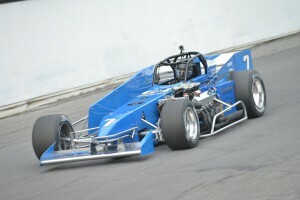 OSWEGO, NY – The Road to the Championship for Oswego Speedway’s Novelis Supermodifieds and Pathfinder Bank Small Block Supers continues to tighten leading to this weekend’s action featuring the Pathfinder Bank SBS Twin 20s and a 50-lap Novelis Supermodified main presented by AirGas and the Woodchuck Saloon. 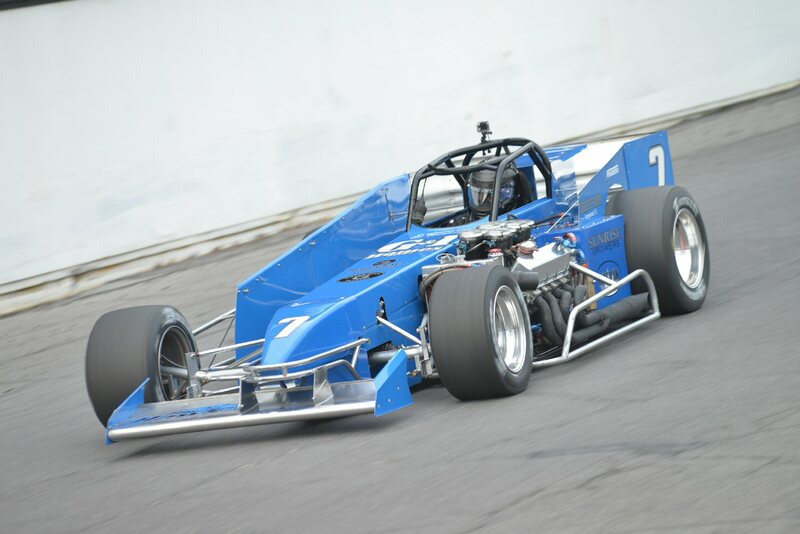 With four championship lead changes to date in 2015, Otto Sitterly once again leads Oswego Speedway’s Novelis Supermodified standings by a mere 3.5 points over Bob Bond. The final event of the season prior to Budweiser International Classic Weekend September 4-6 should prove pivotal in the race for the title in each division, with only one point show to follow on September 19 as a part of the Fall Championship 125. Despite winning five main events this season, Otto Sitterly has been in a yearlong seesaw battle with two-time International Classic champion, Bob Bond in the Novelis Supermodified division. The duo has swapped the point lead an incredible four times this season, with two point shows remaining. Sitterly dominated the early portion of the season, leading the standings from May 9 through July 4. Bond was able to snag the lead away after the July 18 Summer Championship, with Sitterly regaining the lead following the $10,000 to win Mr. Novelis Supermodified. A 21st place finish for Sitterly on August 8 would hand the lead back to Bond, but last week’s runner-up finish for the Nicotra Racing shoe was enough to pull Sitterly back into the lead by only 3.5 points with this weekend’s 50-lapper on the horizon. Sitterly and Bond will continue their yearlong dual this weekend at Oswego with young hard charger Dave Danzer nipping at their heels. With one feature win this season, Danzer trails Sitterly by only 49.5 points going into the weekend. Danzer has more top ten finishes than any driver this season and may very well be able to keep Sitterly and Bond honest following the August 22 50-lap main. Dave Gruel and Jeff Abold finish the top five in the current Novelis Supermodified standings with Pat Lavery, Kody Graham, Brandon Bellinger, Tim Devendorf, and Tim Snyder filling the top ten. Even closer is the race for the championship in the Pathfinder Bank SBS division as the top four runners are separated by only 16 points. Dalton Doyle continues to lead the way, as he has done all season, but two-time feature winner Dave Cliff has moved into the title discussion, just five points out of the lead. Cliff, who pulls double duty on Saturday nights, has won two main events in the month of August, as he is looking to earn his second series championship, now driving for Tim Barbeau. Defending series champion Andrew Schartner has not won a main event this season, but sits in the third spot only 14 points from the lead while three-time 2015 feature winner Mike Bond is fourth only 16 points back. Kreig Heroth, who nearly won his first feature of the season on August 15, rides fifth in the standings, 34 points off the mark. Jack Patrick, Mike Bruce, Anthony Losurdo, Matt Magner, and Camden Proud are the top ten runners in the SBS division this season. The battle for each championship will go a long way this Saturday, August 22 with the Pathfinder Bank SBS Twin 20s and Novelis Supermodified 50 taking place presented by AirGas and the Woodchuck Saloon. Grandstand gates will open on August 22 with the beginning of hot laps at 4 p.m. Racing action will get under way at 6:30 p.m.
Price Chopper Tickets to Go are available for Saturday’s event at any Price Chopper Supermarkets location for only $14.